Yellow Summer Squash has much potential for food creativity. I’m not a gourmet cook, but I love the fat yellow squash that will zoom past ripe if you so much as turn your back on them for a moment. Searching in the huge leaves to find the small tender ones is the ticket. If too big, discard the seeds and use the still tender outside. This is my modified recipe and I heartily encourage you to create your own. For me the addition of Ritz Crackers is the secret to a tasty, easy meal. I presume any sort of crackers will do, but do try for the Ritz-only the best, ya know. Humming while I execute a fancy step or two around the kitchen. This recipe makes a perfect side dish for four. Arrange squash and onion in casserole dish. Set aside. Combine yogurt, cream cheese, and egg in a small bowl. Crumble crackers in a separate bowl, pour melted butter over and stir. Pour liquid ingredients over squash and onion. Spread cracker mixture over the casserole evenly. Cover and cook in microwave oven for approximately 15 minutes on high. Remove cover after 10 minutes and finish. If desired, add small amount grated carrot, Parmesan cheese combined with Ritz Crackers, crumbled cheddar cheese over squash added before crackers. While you're waiting for everyone to come home for dinner, here's a teaser from one of my Regency books. What happens when a strong heroine meets an arrogant, but handsome hero? Sparks fly. It's a Regency Romance Romp! 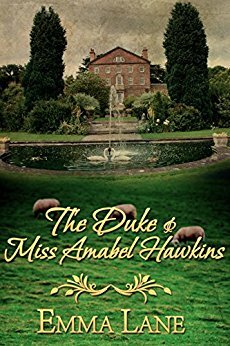 Emma Lane enjoys leaving her garden for a few hours to dip into the romance genre Regency era of history. Join her for a glimpse of a half selkie fairy as she teases a powerful duke and fights the curse of a lowly, evil warlock. Other Regency romances are available on Amazon and Wild Rose Press. 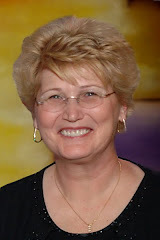 As Janis Lane she writes a series of Cozy Mysteries for Soul Mate Publishing. Look for information about writing and plants on her new website. Leave a comment or a gardening question and put a smile on Emma's face. Love squash dishes, Ms. Emma! They rock the summer! All the best with your books! Wishing you a garden full of bestsellers! Cheers! Thanks, Sharon. Lordy, I'm easily amused. I love "Easter Egg Hunting" in the garden for fresh squash and tomatoes almost as sitting down to start a new story. Thanks for all your help everyone, especially Sloane! I like this, Emma. Would never, never thought of a squash casserole. Delicious, Vonnie. Can use zuccini as well, I suppose, but I happen to love the yellow. Gingerbread? In Summer? YOU BET!